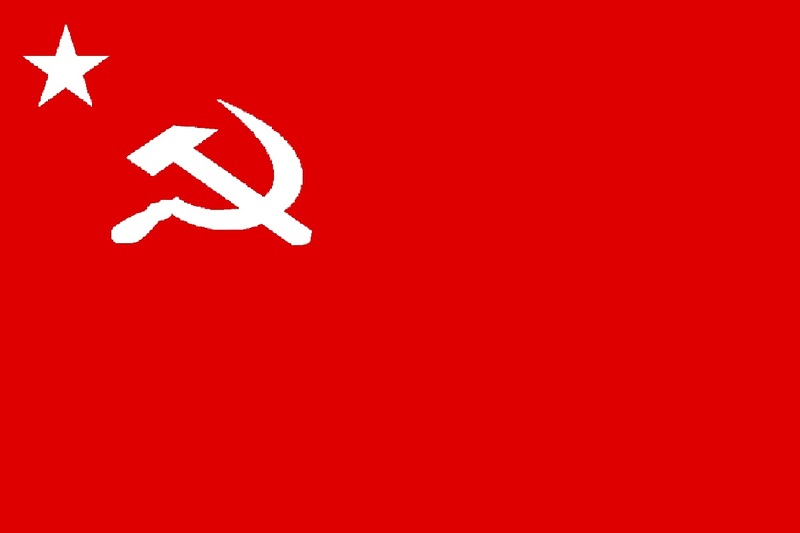 The Party shall be called the Revolutionary Communist Party of India (RCPI). a) The Party shall strive for building Socialism in India as a part of the world social order by organising the Indian working class, the poor and middle peasantry, the lower middle class, intellectuals, urban petty-bourgeoisie and exploited humanity inculcating the ideals of Marxism, to build political struggle, aiming at changing the oppressive and exploitative social order dominated by the Indian capitalist and exploiter classes. b) The party shall strive to build socialism under the leadership of the proletariat with active cooperation of other exploited strata of the humanity, including peasants, working intellectuals and non-manual working sections of people. f) Constant living association of the membership with the masses through their various organs of struggle. All questions affecting the Party and its activities shall be freely discussed by the members in the proper forum (e.g. committees, intra-party bulletins and conference), in strict conformity with the rules for guidance of the members in such matters, that may be framed by the leading party committees, till such time as a decision on the subject is taken by a competent committee or conference, and its decision made known to the members, through proper channels. A decision made once by a committee or a conference must be unreservedly carried out, even if any member or lower committee be in disagreement with it. Against any decision an appeal may be made to a higher competent body with the right of hearing; but until and unless the standing decisions are annulled, they are to be carried out unreservedly. The right of members to free discussion and dissemination of views to members outside the proper forum shall be ensured by the publication of an intra-party paper. The higher committees shall have power to remove lower committees and appoint ad hoc bodies in their places subject to the subsequent endorsement by their higher committees. In any case the Central Committee of the Party shall be the final authority in all matters, between the two conferences of the party. c) Diligently carries on day-to-day party activities functioning through a party organisation. d) Obeys unreservedly party discipline. e) Can read and write. f) Applies for granting party membership and pass a period of probation, normally of six months and shall be eligible for regular membership of the party. Any member may recommend a person who is active in his/her own field of activity, supports the party programme, willing to join the party and obeys its discipline, and to be enrolled as a candidate, on signing of an application for membership. On receipt of such an application by the party, it shall take necessary steps to enrol and put the applicant member in a Primary Committee or a cell as probationer and arrange for training. The Local Committee shall review the progress of the probationer from time to time, and recommend to the higher committee, at the expiry of six months for granting membership to the deserving candidate; non-granting of membership by the higher committee shall not mean rejection unless specified, but may again he sent up for reconsideration. i. To participate in free and fair discussion in Party meetings concerning problems of carrying out party policies, decisions and directions. ii. To elect and be elected within the party. iii. To criticise in party meetings and party functionary in constructive manner. iv. To submit proposals or views in writing to any party organisation upto and including Central Committee. v. To be protected in case of holding minority view. i. He/She shall constantly endeavour to raise the level of political and ideological consciousness and acquire knowledge of fundamental teachings of Marx, Engels and Lenin and acquaint with historical developments of the party. ii. He/She shall strictly observe party discipline and actively participate in day-to-day political activities of the party. iii. He/She shall regularly pay party dues, levies and subscription to the party paper and sell party literature. iv. He/She shall generally work through mass organisation and participate in mass movement. v. He/She shall actively participate in inner-party political life and uphold party interest in and out of the party. vi. He/She shall attend meetings of the Party. The Primary Committee shall be the lowest unit of the party, which will consist of nine to thirty-one members including applicant members. The area of the Primary Committee will be determined by the Local Committee. Each Primary Committee shall have a primary executive committee, comprising of five to nine members, being elected by General body of the Party members. The Primary Executive Committee shall be headed by a Secretary who will co-ordinate and guide the party members in their day-to-day party activities, and will be responsible to the Local Committee. The Secretary of the Primary Committee shall collect membership dues, levies to be deposited to the Secretary L.C. and arrange sale and distribution of party literature, collect reports of activities of the members, and submit them to the higher committee. b) In case there are fewer than nine members in an area, there may be a ‘Party Cell’ to function under a local or higher committee. Discussions on matters of theory and Practice of Revolutionary Marxism by the party shall be held freely among members and express their opinion in the POC, which will be confined to them only excepting the representative of higher committees participating in the discussions. Every member has right to communicate any differing views or opinion to the higher committee through the Secretary P.C. All such communications will be properly attended to by higher committee. Two or more Primary Committees shall constitute a Local Committee of the Party in an area or locality, as may be determined by the Party District Committee consisting of seven or more members elected in a conference of all the members of the Primary Committee or their delegates as may be decided by DC brought under the Local Committee. ii. To collect party dues, levies and reports from the Primary Committees under it, to be submitted to Party District Committee. iii. The Secretary of the Local Committee shall be directly responsible to DC for communication and implementation of directions on political and organisational activities of the party. There shall be a Party District within the jurisdiction of existing administrative district or so, as may be determined by the State Committee of the Party, if there are two or more functioning Local Committees of the party in the district. b) Visitor delegate with the right to participate in discussion without voting right. There shall be a Steering Committee consisting of three to five members of the District Committee to advise the Presidium in conducting the deliberations and proceeding of the District Conference. The delegates assembled for the conference shall elect a presidium to conduct its business. The Presidium of the District Conference shall appoint a Commission of which the President of the Presidium will be a member to conduct the election of members to the District Committee and a commission for scrutinisation of the fund of the Party District Committee. The Presidium of the District Conference shall maintain the details of deliberations in the conference, and the whole proceeding will be sent to the State Committee for approval, within seven days of the end of the conference. No decision of the conference shall be I force, until and unless it is ratified by the State Committee. 12. The District Committee of the party shall consist of nine or more regular members as may be determined by the Conference and two or more candidate members. The Election of District Committee members shall be held by secret ballot and the votes shall be counted by the authorised representative of the higher Committee. On completion, the chairman of the Election Commission will call a meeting of the newly elected District Committee member, to elect a Secretary of the District Committee. 13. The District Committee elected by the District Conference shall begin to function only after the election is approved by State Committee within fifteen days. In default of e decision by the State Committee within the period, the approval shall be taken for granted. The Secretary of the newly elected District Committee shall take-over the charges of office from the Secretary of the outgoing District Committee, on receipt of its approval from the State Committee. Till the charge is handed over, the outgoing District Committee and its Secretary shall continue to function. The Charge shall consist of all papers, documents, party literature, funds, accounts, proceedings of the meetings of the previous committee and all such information is necessary for the proper functioning of the new Committee. a) The District Committee shall elect in-charges for respective frontal organisations from its members and form sub-committees with its members, and if necessary with members outside the District Committee. The District Committee shall be entirely responsible for the activities of the party in the District and shall carry out decisions of the State and the Central Committees, without any reservation. In the event of any disagreement with the decisions of higher Committee, the District Committee may appeal to the higher Committee stating the reasons for disagreement, but pending reconsideration of the standing decisions shall be carried out. i. The District Committee shall prepare monthly report of the party activities of all fronts in the district, and a monthly account of all its receipts and expenditure and submit them to the higher Committee. ii. The District Committee shall collect the party dues as may be determined by the Central Committee, and such levy from the party members and probationers. iii. The District Committee shall constantly endeavour to educate and raise ideological and political standard of the party members for which it shall evolve necessary measures and implement them tenaciously. iv. The District Committee shall be responsible for frontal organisations of the party and their activities in the district. v. The District Committee shall enforce discipline in the party and maintain it. b) There may be a Secretariat of three to five members of the District Committee to manage the day-to-day affairs of the Party in the District. The State Committee may appoint a District Organising Committee with five or more members in a party district. The District Organising Committee shall function in a district till it builds up two or more Local Committees. The State Conference shall appoint a Secretary of a DOC, who shall function under the State Committee, till the regular District Committee is formed. In an exigency, the State Committee or the Central Committee may dissolve the regular District Committee, and form Ad-hoc District Committee and appoint a Secretary who shall function till it is replaced by regular District Committee. i. No member or probationer shall be granted leave for more than a month by the District Committee. Applications for longer leave shall be considered by the Higher Committee. ii. Whenever a member or probationer moves from one district to another with the intention of residing there for a period exceeding three months, a transfer of membership or probationership shall be affected through the State Committee. For a shorter period, the comrade concerned shall take introductory letter from the District Committee to the new one and carry on political activities under it. In the event of the new place having no Party Committee, the comrade shall be under the direction and guidance of the State or Central Committee as the case may be. A member, if aggrieved by the decision of the District Committee, may prefer an appeal to the higher Committees for its review or rescind the decision, but until then, the decision will stand, and must be obeyed. a) A State Conference shall be held normally before every plenary Congress of the party only with due permission of the Central Committee. A State Conference shall be required to obtain prior approval of its agenda from the Central Committee. The Central Committee shall determine the basis of delegation to State Conference. b) The Central Committee may direct a State Conference to be held any time it considers necessary. 21. a) To conduct and control the deliberations of the conference in the light of the provisions of the constitution and the directions of the Central Committee, the delegates shall elect a Presidium of the Conference. The Conference shall discuss the whole agenda and take decisions in the form of resolutions. The Presidium of the Conference shall keep minutes of deliberations and proceedings of the conference. At the conclusion of the conference, the proceedings signed by the President or the Presidium shall be sent to the Central Committee for ratification. In course of deliberations, any decision entailing to the Presidium shall not exercise casting vote, but shall refer to the Central Committee. There shall be a Steering Committee with five members of the State Committee, to advise the Presidium in conducting deliberations and proceedings of State Conference. b) The State Conference shall elect a State Committee of Seven or more members as may be determined by it, by secret ballot vote. The President shall appoint a three membered Election Commission including the representative of the Central Committee and the President. The counting of votes shall be done by the representative of the Central Committee. The election is subject to the approval of the Central Committee. The representative of the Central Committee shall convene the first sitting of the newly elected members to the State Committee, and elect a Secretary of the State Committee subject to the approval of the Central Committee. c) The newly elected State Committee shall be operative only after obtaining approval of the Central Committee of its election, within 15 days from the conclusion of the Conference. In absence of a decision of the Central Committee within the stipulated period, the approval shall be taken for granted. The State Committee shall have power to co-opt not more than one-third of its, elected members strength. d) There may a Secretariat consisting of three to five members of the State Committee to manage running of the day-to-day activities of the State Party. The Secretary of the newly-elected State Committee shall take over charges of the office from the outgoing Secretary immediately after the approval of the Central Committee and shall begin to operate. The charges shall be taken within 15 days from the date of election. The charges takeover and handover shall mean all papers, documents, party literature, funds, accounts, records, party property, and all information as are necessary for proper functioning of the Committee. The State Committee shall form sub-committees to carry on both frontal and organisational activities of the Party with the members from outside it, and shall elect in-charge for each sub-committee. The State Committee shall be entirely responsible for all party activities in the state, which shall be carried on in accordance with the politico-organisational line of the Party Congress, Party Constitution, and directives of the Central Committee. On any disagreement with the Central Committee in matters of policy and working decisions, the State Committee may refer it back to the Central Committee for review or reconsideration, pending which it is obligatory to accept them unless the Secretary of the Central Committee exempt the State Committee concerned from immediate enforcement in apprehension of harmful consequences. i. The State Committee shall prepare a quarterly report of the activities of the party in the State, in all fronts and the party organisations including accounts of all its collections and receipts and expenditures and submit them to the Central Committee. ii. The State Committee shall raise party fund and remit twenty per cent of the collection to the Central Committee which is obligatory. iii. The State Committee shall maintain accounts of its collection of money and expenditures in proper form and shall prepare annual budget for the maintenance of the apparatus and defraying expenses for party activities. iv. The State Committee shall evolve policy and programme to (a) maintain (b) strengthen (c) expand the party organisation in the state. v. The State Committee shall be alive to the political-economic and socio-cultural development in the state and formulate necessary policy and line of actions of the party apprising the Central Committee. vi. The State Committee shall make to bring out party journals, mouth pieces in the state languages and political and agitational literature, and such propaganda materials. vii. The State Committee shall take necessary regular measure to train and to educate the party cadres to raise the level of political and ideological consciousness on the basis of Marxism in the state in so-ordination with the District Committee. a) The State Committee shall not grant to any member or probationer leave for more than three months. The application for longer period of leave shall be referred to the Central Committee. b) Any member or probationer member intending to reside in another state for a period of more than three months shall be granted transfer of membership or probationership to the new state through the Central Committee. For shorter period, the comrade concerned shall take introductory letter from the State Committee, and carry on political activities in accordance with the directives of the party organisation in the new place. If there is no party organisation, the member shall act under the direction of the Central Committee. c) Commission of anti-people activities. ii. The State Committee may initiate disciplinary measure against a party member of its own if and when situation demands. iii. The State Committee shall have power to expel a party member below the rank of the State Committee on grave of charges of indulgence in anti-party, or anti-people activities after making thorough investigation into the charges so-levelled. The concurrence of the Central Committee in matters of disciplinary measures by the State Committee is obligatory. The Central Committee shall appoint an Organising Committee of the party with seven or more members, to be called as the State Organising Committee, which shall carry on political and organisational activities under the control and with the direction of the Central Committee till it is so needed. In exigence, the Central Committee may appoint an Ad-hoc State Committee of the Party for a specified period, consisting of seven to nine members and appoint a Secretary among them. The Ad-hoc State Committee shall function till a regular State Committee is elected. a) The Party Congress shall be held every four years and it shall be convened by the Central Committee. The basis of election of delegates to the Party Congress shall be determined on the strength of the current membership by the Central Committee, who shall be elected in the District Conference. The time and place of the Party Congress shall be fixed by the Central Committee. Six months ahead of the Party Congress, the Central Committee shall invite political and organisational materials in the form of resolutions to be discussed in the plenary session, from the members of the Party, which are to be received at a date fixed by it. Such materials, if needed, be along with the political-organisational document prepared by the Central Committee, shall be circulated in the party for discussions to be organised in the Local Committee’s Conference and District Conference/Conventions. In case of the Special Party Congress, such procedure shall not be followed. b) On the first assembly of delegates to the Party Congress, after its inauguration, shall elect a presidium, who shall conduct and control deliberations on the items in the agenda as adopted by it in accordance with the provisions of the Party Constitution. Over and above their voting rights as delegates, the presidium shall have one casting vote in case of tie. c) Also, it shall appoint two members Committee to examine financial accounts of the Central Committee and place to the congress. d) The Secretary of the Central Committee shall read out the political and organizational reports. The Party Congress shall freely discuss issues relating to the principles, strategy, and tactics political and organizational as placed in the agenda and decide on each item of the agenda in the form of resolutions, by majority of vote. All the decisions of the Party Congress shall be obligatory for the entire Party organizations. The Presidium shall keep full proceedings of deliberations and decisions of the Party Congress in writing duly signed by it. The Party Congress being sole authority to determine and decide on ideological, political, strategic, tactical and organizational courses to be traversed by the Party, the policies formulated and the programme evolved by it cannot be altered, unless an extra-ordinary circumstance arises to convoke a special party-Congress to review or change them. If in an extra-ordinary situation a decision to be taken on matters of strategy and programme by the Central committee that shall have to be ratified by a 2/3rd majority of the state’s party. e) The Party Congress shall elect a new Central Committee consisting of nine or more regular members and four or more as candidate member, or as may be decided by the Party Congress in session, by secret ballot. To conduct this election the plenary session shall appoint a three member Election Commission including the President of the Presidium. f) The Party Congress shall elect a three member Control Commission, and the election will be conducted by the same Commission. The president of the Presidium of the Party Congress shall convene the first meeting of the new central Committee of the newly elected members to elect its Secretary. The new Central Committee shall take over charge from the outgoing Central Committee, within seven days of its election. a) Charge shall mean, (i) All Documents, (ii) Papers, (iii) Property of the Party, (iv) Office, (v) Funds, (vi) Accounts, (vii) Literature, (viii) Resource, (ix) Contacts, (x) Information, (xi) Political Reports, and (xii) Records. The Central Committee shall have power to co-opt members not exceeding a fourth of its elective strength. The Central Committee shall be the highest authority of the Party between the two Congresses and shall bear the full and ultimate responsibility of the entire work of the Party. The Central Committee may constitute a Political Bureau by electing three or more of its members which shall discharge the task of implementation and working of political line of the party. It shall guide the entire political views in between the two sittings of the Central Committee. The entire party political literature shall be edited by the Political Bureau. No member shall publish any political documents contravening the Party line. The Secretary of the Central Committee shall be in-charge of the Political Bureau. To guide and to organise entire agitational and propaganda work of the party, the Central Committee shall form an Agitation and Propaganda Bureau with three of its members to function under the Secretary of the Central Committee. To look after, to guide and to conduct functioning of party organisation, the Central Committee shall form an Organisation Bureau with three or more of its members and appoint an incharge of the bureau. The Central Committee shall constitute a Finance Commission with three of its members to deal with collection and disbursement of the party funds and approval of accounts. The Finance Commission shall have a convenor. e) The Central Committee shall form sub-committees with its members, and if needed, be with outside members for mass fronts of the party, which shall conduct and conduct and control mass organisations of the labour, the peasants, the youths, the students, the women, the intelligentsia, and such other strata of people in the country. For the maintenance of the discipline and safety of the party, the Central Committee shall have the power to suspend or dissolve any party committee and appoint ad-hoc bodies are to function under the directions of the higher committee. The Central Committee shall have power to carry out a system of scrutiny of membership according to a standard fixed by it from time to time. The Central Committee shall have power to alter, in special cases, the probationary period for any entrant to the Party. In times of extreme persecutions, when conditions render the proper functioning of the constitution impossible, the Central Committee shall have the power to suspend the constitution or any party of it by two-third majority of the members present and concentrate in its hands the entire power. Such a decision shall have to be ratified by the majority of the State Committees. The Secretary of the Central Committee is the highest Executive of the Party. He shall prevail on all matters between the two sittings of the Central Committee. The Secretary of the Central Committee shall guide and coordinate the entire work of the party through the party machinery. He shall co-ordinate the works of all the party Bureaus and sub-committees and its Bureaus shall be communicated under his signature. He shall keep contact and issue such direction to the Control Commission as the Central Committee might issue. The Control Commission shall keep vigilance over the entire party machinery and its functioning. It shall see that the party line and the directives of its leading bodies and are carried out. It shall investigate the affairs of all committees, individual members, except those of the Central Committee when reported to by any committee or its member. The Commission shall investigate and recommend action but shall not decide on action by itself, that being the function of the regular party committees. There shall be a Secretary of the Commission elected by itself. The Control Commission shall be incharge of the intra-party paper. a) A Convention of the Party members can be held, as and when, it is deemed necessary, by any of the party organisation, at any level with prior permission of the higher committee with specific agenda and mode of participation. The role of the convention shall be consultative and advisory. A Convention, when called, shall elect its own president or presidium who will guide the deliberation according to the provisions of the constitution, and the directive of the higher committee. A complete proceeding of the convention shall be kept and signed by the president or presidium for its submission to higher committee for necessary action. For wider understanding and operational facility, an extended meeting of any committee may be called, by inviting such members who are desirable by the committee concerned without their voting rights. c) There may be ‘Cell’ of the Party with three to five members under any of the party structures to facilitate party activities in fronts and mass organisation, whenever it is deemed necessary. 36. Any matter not explicitly covered by the above provisions shall be decided by the Central Committee. 37. There shall be rules for the guidance of members under the Constitution, which shall detail out the concrete working of the Constitution. The rules shall be framed by the Central Committee.